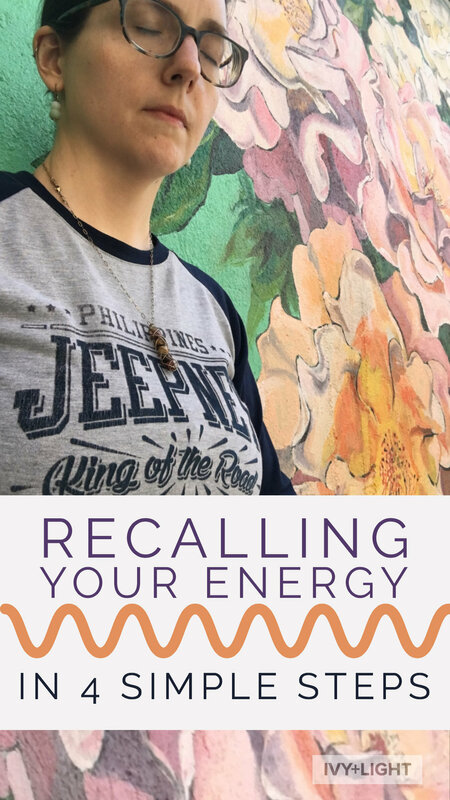 Learn to Recall your Energy from situations, people, thoughts, and more! Here is a technique that I use all the time to help me manage stressful and frustrating situations. It's also great for gathering your focus on the present instead of getting stuck in the past or the future. Ivy + Light is an online Wellness Center for people on a mission to create their best life. All of our teachers, coaches, and practitioners are dedicated to supporting you as you discover which healing modes and methods work best for your goals, your lifestyle, and your daily schedule.